We could not wish for anything more! At his last european show Tino sure Rocked the ring! Not only did he win CAC/CACIB/Crufts qualification and BEST OF BREED judged by Mrs Larrive (France)! Not only did he become BELGIAN CHAMPION! In the main ring Mrs Mach (Swiss) made him BIS Belgian Breeds. 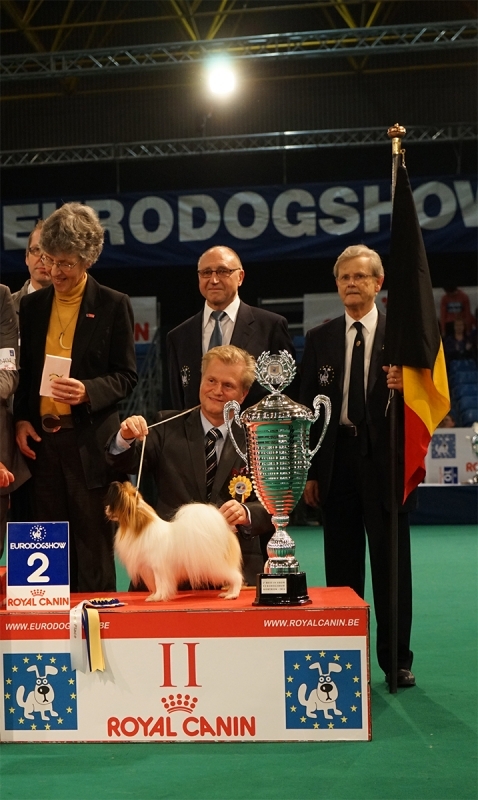 Mrs Navarro (Spain) gave him Best in Group and Mr Norman Deschuymere placed him RESERVE BEST IN SHOW at International Eurodogshow Kortrijk!